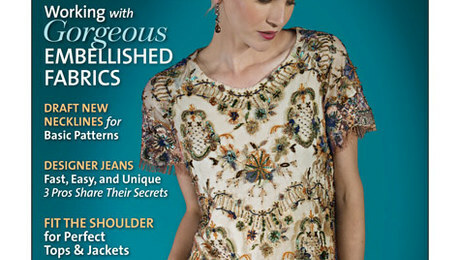 Threads reviews Decades of Style Pattern 2502. 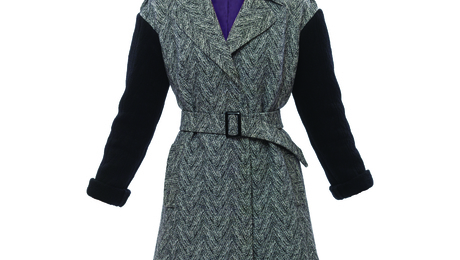 This loose-fitting, pull-on design, originally from 1925, can be made with or without the bishop sleeves. 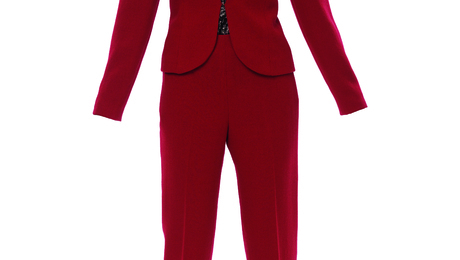 Threads reviews McCall's Pattern 6711. This wardrobe capsule includes five coordinating pieces. 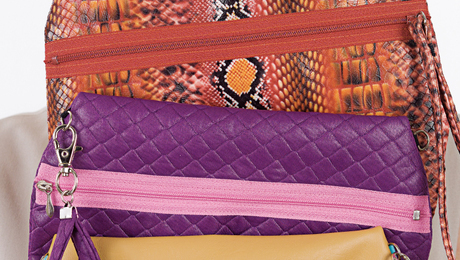 Create a fashionable clutch with a contrasting zipper across the body. 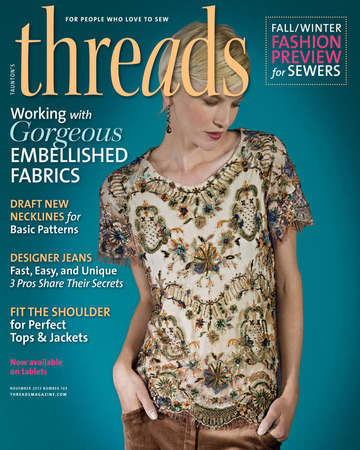 Don't Miss the October/November 2013 Issue of Threads! Take a peek at what you can expect to find inside the pages of Threads #169. Adapt a pattern for three new styles. Watch this Threads Essential Techniques video tutorial to learn how to make the classic pickstitch. 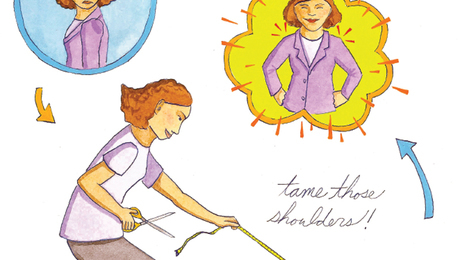 Adjust your patterns to match your posture. Vintage flair for modern garments.